All you front-range dwellers looking for day trips that pack a punch, this is the guidebook for you. Our Colorado Central Mountains ATV Trail Guide features some of the best-hidden gems in the area. Looking for more than a day trip? We’ve got all the best insights on where to set up camp for a stunning night under the stars. My husband says this is a great book and would give it a five star rating. I bought this book as well as Colorado Road and Recreation Atlas. There is a great more detail in this book. 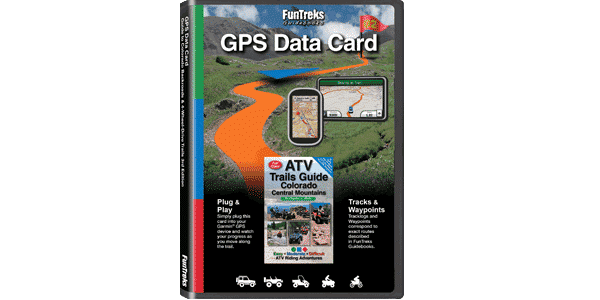 This book includes detailed maps for each trail, color coded by difficulty in each segment, GPS coordinates for trailheads and important intersections along the trail. There is a nice synopsis for each trail, with “how to get there”, difficulty, trail desciption by segement, etc. Also a nice quick reference sheet listing east trail by difficulty and maximum elevation. I have been on a number of the trails and for these the book was very accurate. On the other map book, about all you have is unlabelled red lines that may or may not be trails open to ATV’s. Thumbs-up on this one. The author has done a great job of finding trails not far from where I live, yet I did not know existed. With GPS coordinates and directions, the trails are easy to find. This author has published a number of similar guide books and all are excellent sources for riding and explaining the level of difficulty encountered on the trails. I received this book a month or so ago and I don’t leave home without it. I have hit four of the trails in the book and the author has done a great job in his description of the trails. I’m new to atving and this book has really helped me. I’m also new to Colorado. Would highly recommend. I have personally used these books in other parts of Colorado and we completed our set with this book. This is one of the only ways to get a feel of what you are about to ride into when you are trailriding in Colorado. Have owned and used this book extensively over the past 4 years. It is pretty good but cumbersome to use when riding out on the trails. As of right now, many of the trails in the book are now out of date (Book was published in 2007). So I would wait for a revision before purchasing. Have seen other ATV Trails Guide books that are spiral bound which is critical for someone who wants to have the book open and visually accessible during a ride. If you are an ATV rider this book is great. The scale system is right on & when he says it is difficult, it is difficult. We have used our 1st one for 5 years. It has gotten wet one times too many so we broke down & bought a new one. Too bad it is so cold where we live or we would go riding this weekend. Spring cannot come soon enough!!! Mr. Wells does a great job of mapping, directions & just overall everything when he writes these books. I have found his ratings to be slightly off at times, with trails not to be as difficult as he rates them. This could be due to the age of my books, plus the trails are always changing as well as being maintained by various off-road groups/clubs. I have not driven a trail that has been tougher than what he has described it though, which I think is more important that one being easier than he describes. I now own every book he has written for Colorado Jeep Trails and Colorado ATV trails. Excellent guide and highly detailed maps. Tells you where to go and exactly how not to get lost. The author tells what to expect, how to get there safely and interesting lakes, ghost towns, old mines to look for while you are there. This book has taken me on adventures that I never would have known about otherwise. This is the best source of maps for dirt-biking, atv’s and Jeeps hands down! Of the 30 or more topo maps, gazetter’s and guide books that I have ever bought this beats them all. I went and bought all of Charles Wells books they are simply the best available. 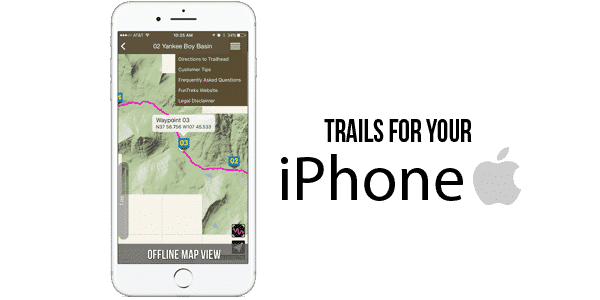 Great guide to where, how to access and conditions of the trails. Also has good practical information when going on the trails.